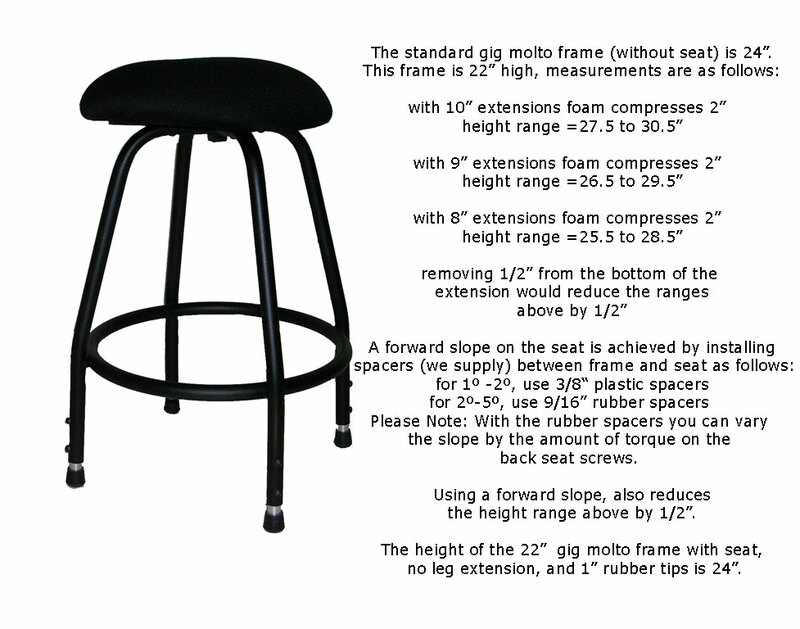 Fact sheet for ‘gig’ basso stools. 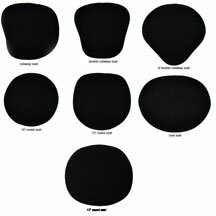 Link to Chart for Leg Extensions. C4 ‘gig’ basso with 15″ cutaway seat, front view. 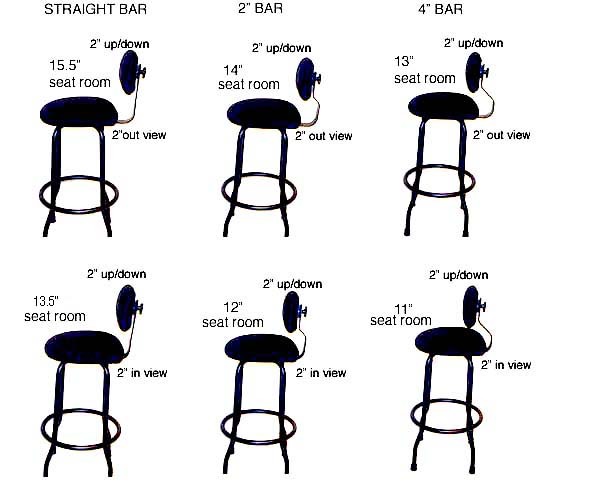 Distance from top of foot ring to top of frame is 17″ (43.2cm) (standard for all ‘gig’ stools). 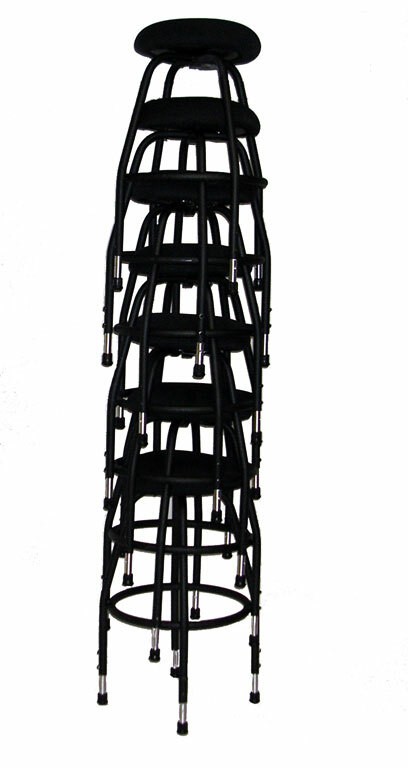 $500USD with swivel feature, designed with some resistance to prevent free spinning rotation, which can cause spinal injury. Go to C4 swivel ‘gig’ basso page. C4 ‘gig ‘basso with cutaway seat with optional aluminum foot-support. 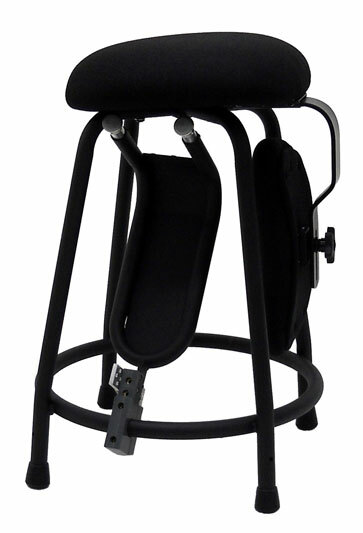 “New Idea” Bass Stool for young person learning Double bass. 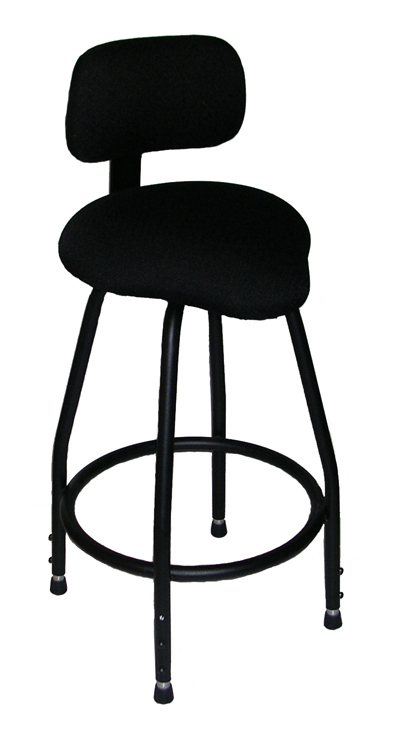 A creative customer realized the H5 HarpCello ‘gig’ stool was the best size for her young son learning bass. Also shown on H5 HarpCello ‘gig’ stool page. 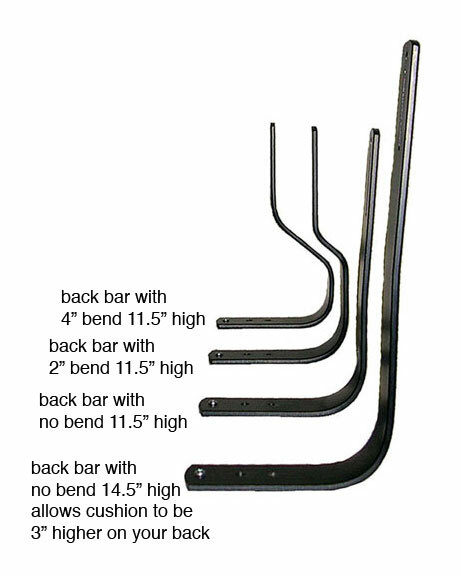 Leg extensions height ranges for ‘gig’ harpcello stool. 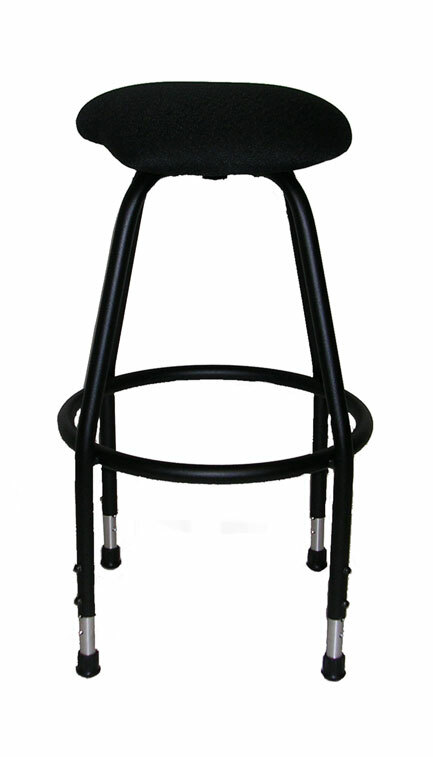 H5 HarpCello ‘gig’ stool with cutaway seat, optional back support and optional aluminum foot support, perfect for all ages, especially young people learning bass. H5 model good for all ages guitar, cello, harp, piano. 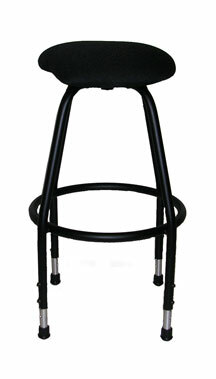 View H5 child stool double cutaway seat. 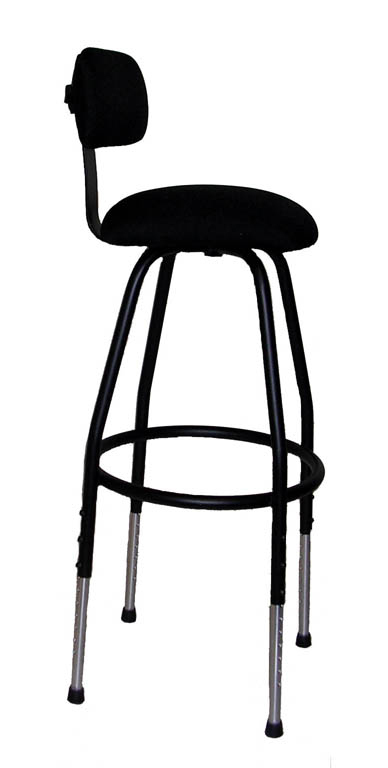 View child stool with 15″ round seat. 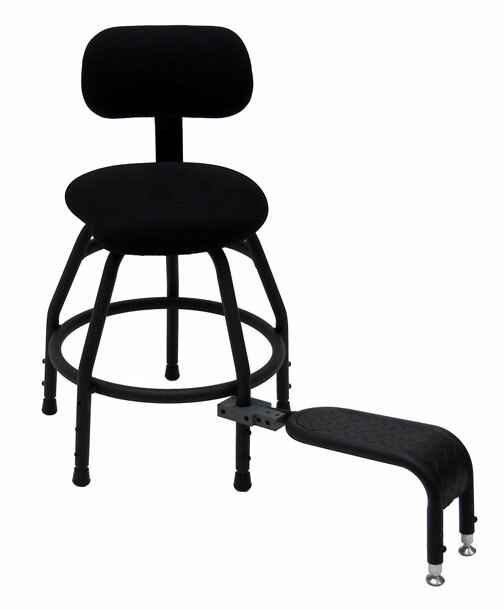 $200USD optional aluminum foot-support, includes 3/4″ and 1″ T for leg or ring attachment, and 5″ aluminum adaptor bar. 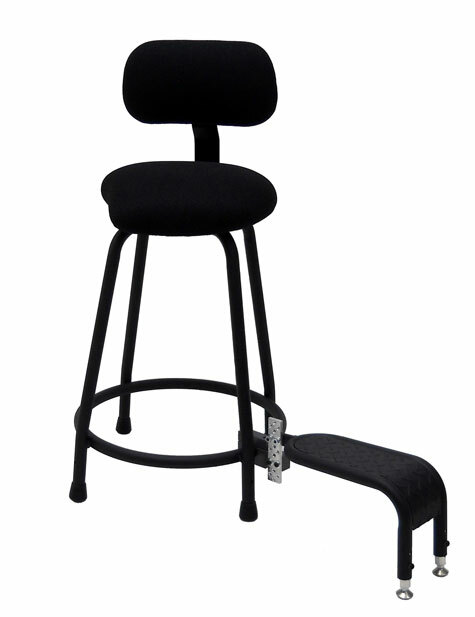 C4 ‘gig’ basso stool, 22″ frame with cutaway seat, with optional aluminum foot support perfect for young people, children, learning bass. 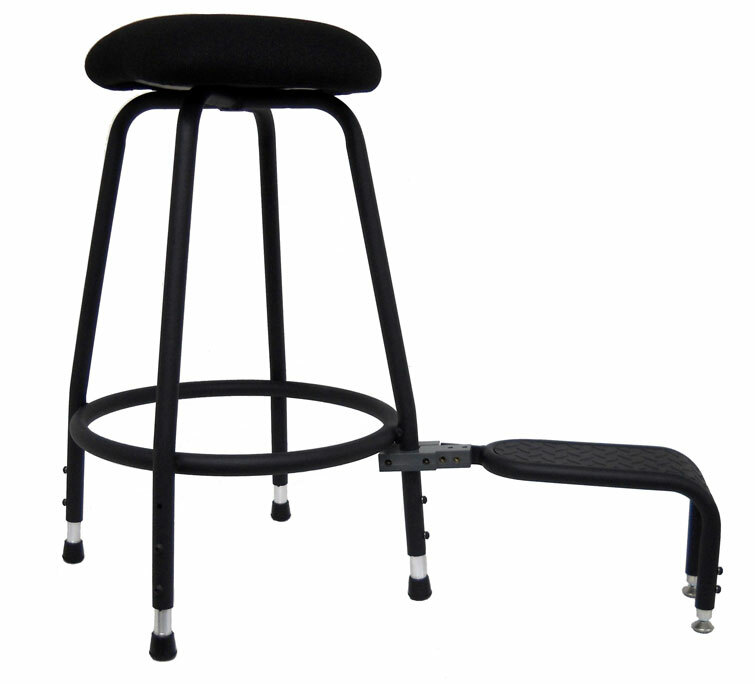 Stool grows with the person with adjustable leg extensions on stool. 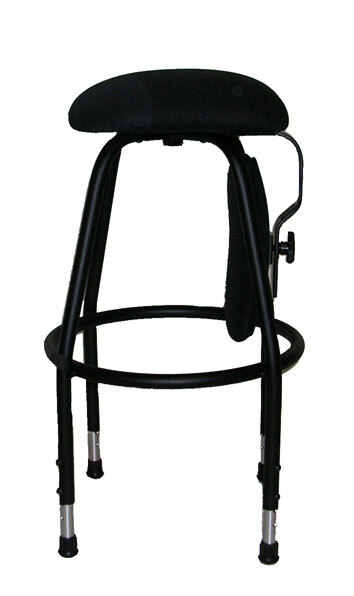 $200USD optional aluminum foot-support, PVC bracket includes 3/4″ and 1″ T for leg or ring attachment, and 5″ aluminum adaptor bar. 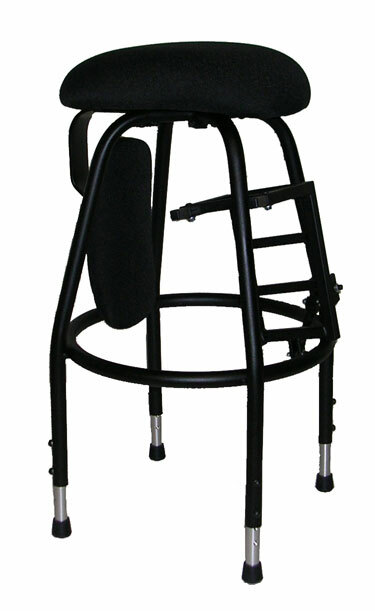 For ease of transport, the optional back support and foot support are placed as shown. 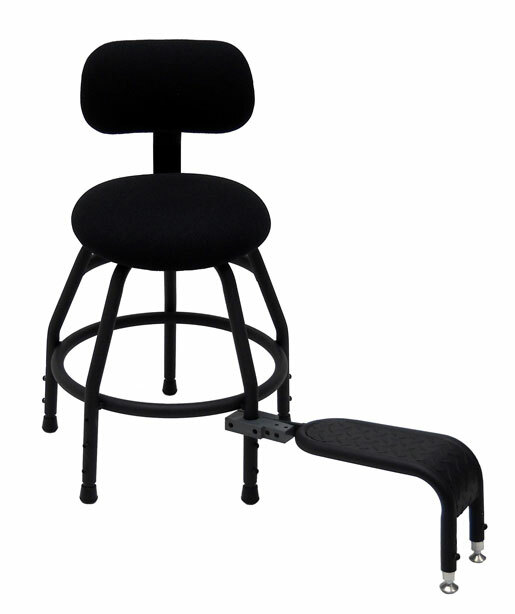 C4 ‘gig’ basso stool, 22″ frame with 13″ cutaway seat, with aluminum foot support, perfect for young people, children, learning bass.